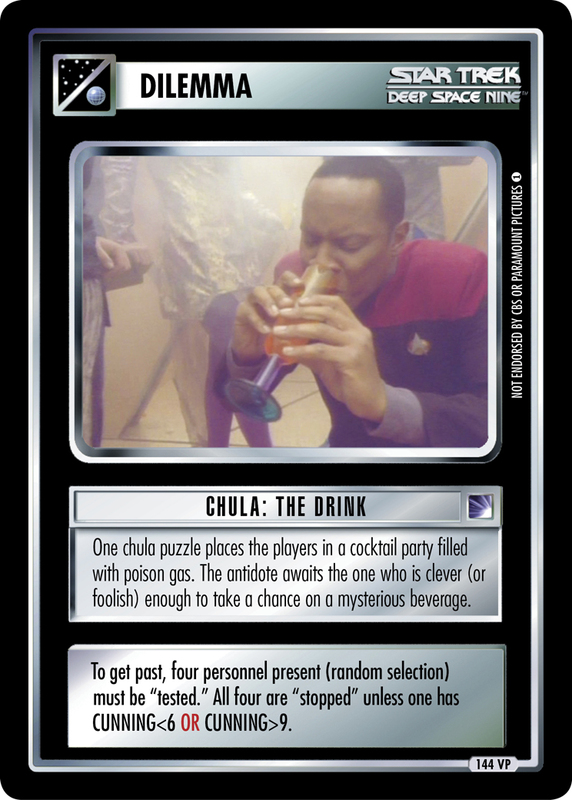 Bartender who pretends to work for the Alliance. 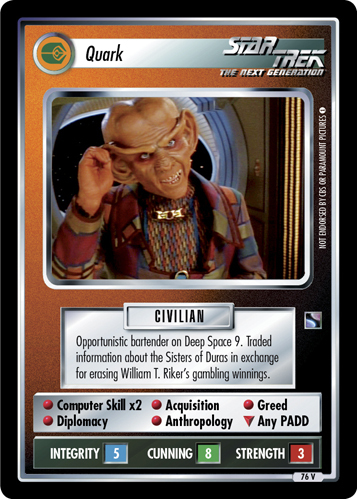 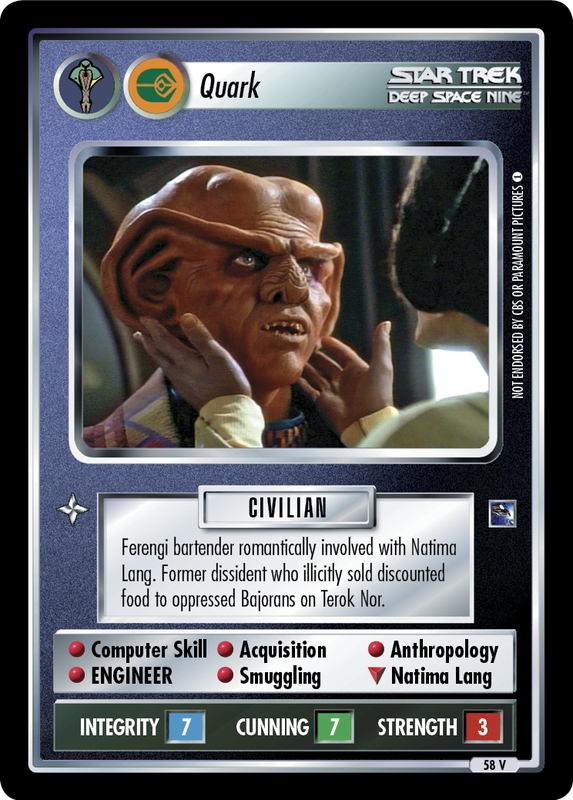 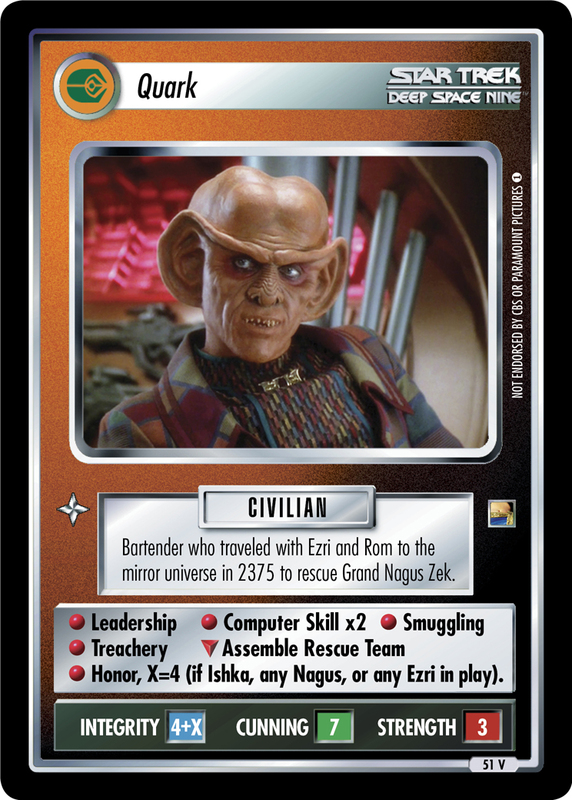 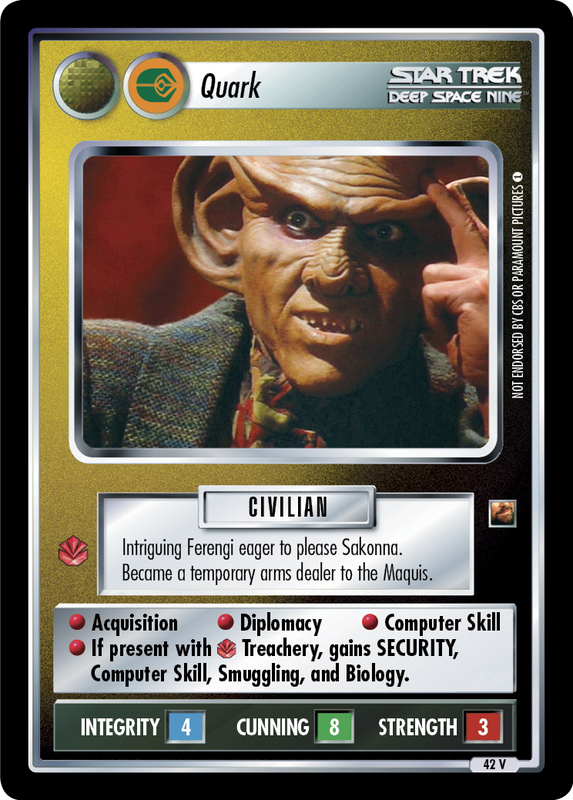 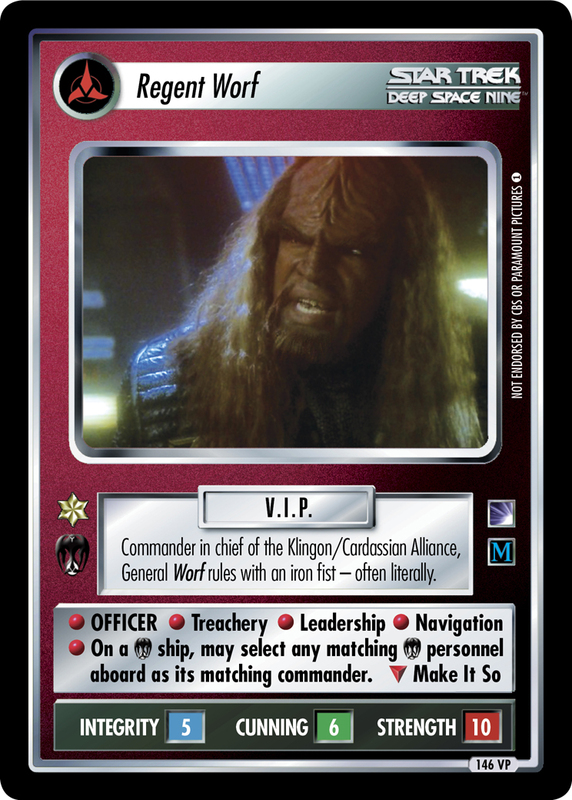 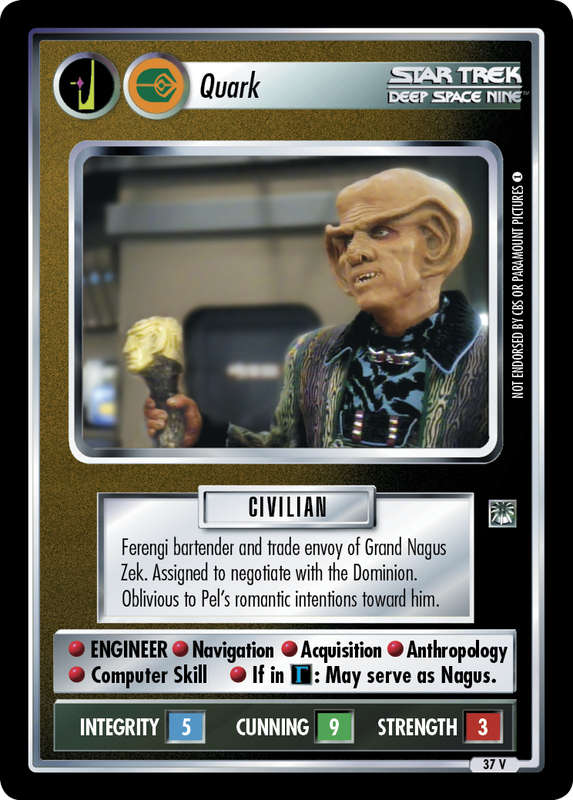 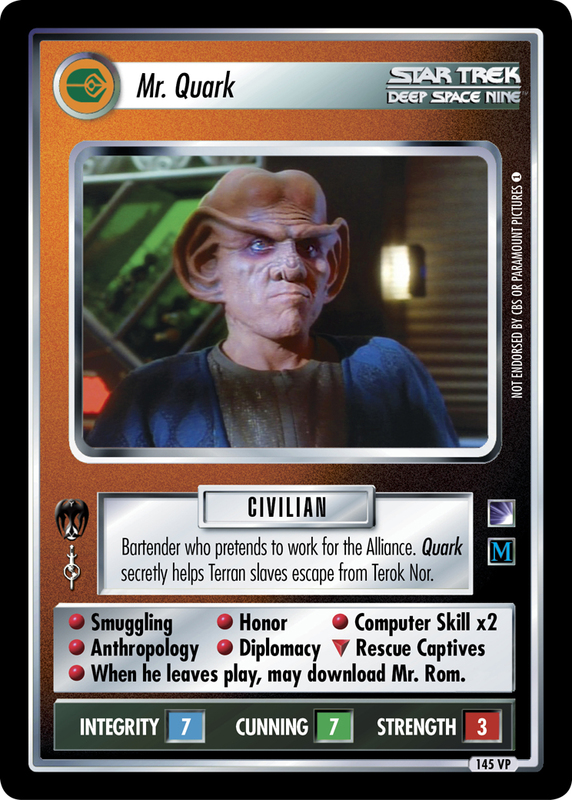 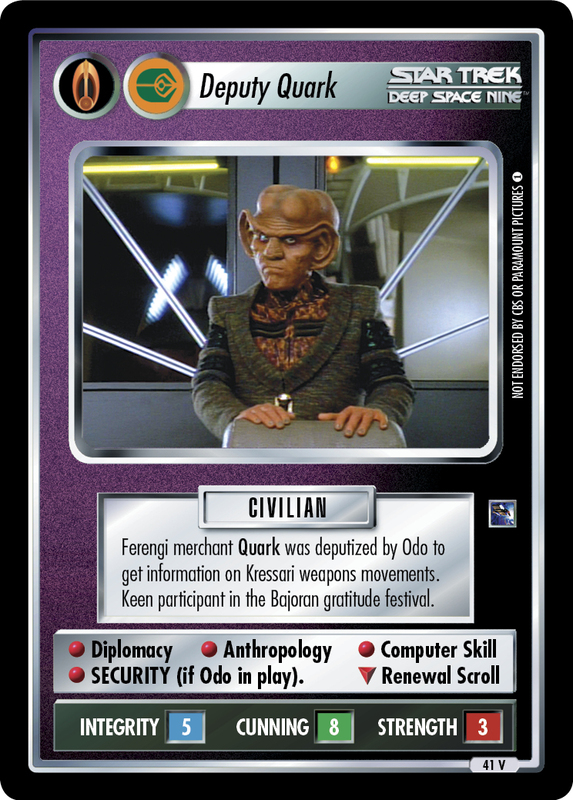 Quark secretly helps Terran slaves escape from Terok Nor. 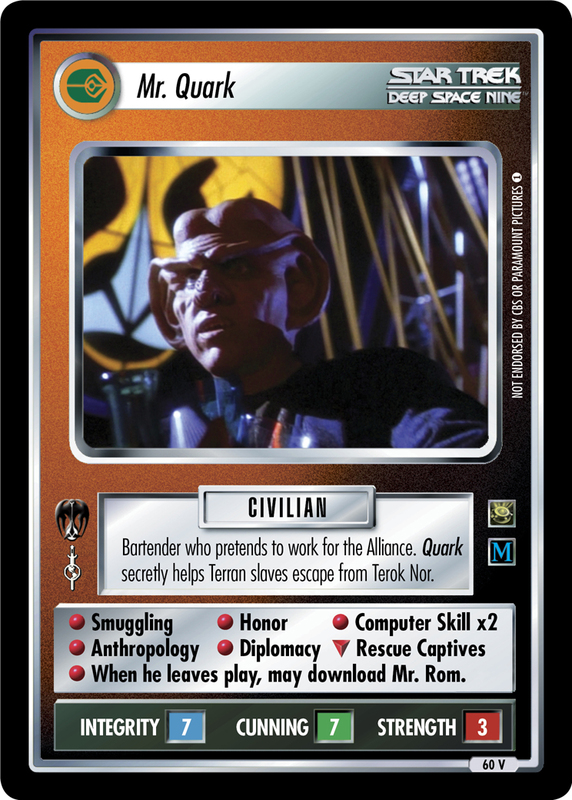 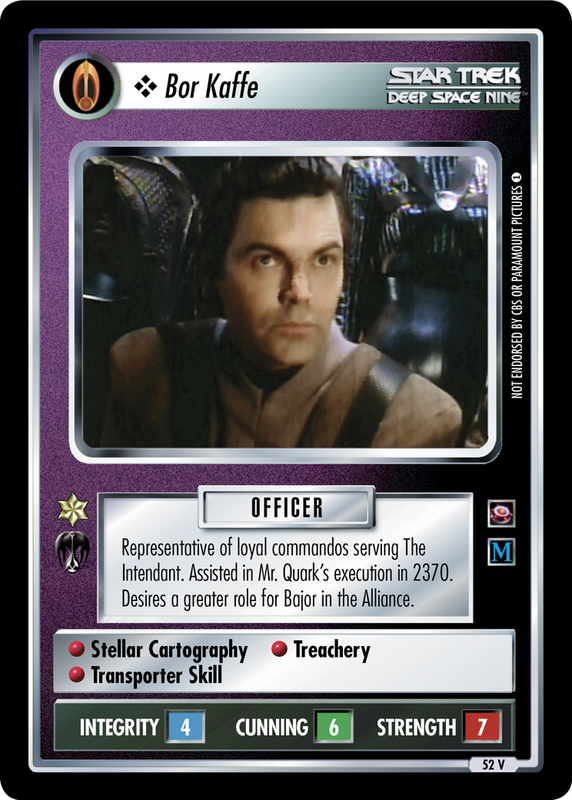 • Smuggling • Honor • Computer Skill x2 • Anthropology • Diplomacy ∇ Rescue Captives • When he leaves play, may download Mr. Rom.